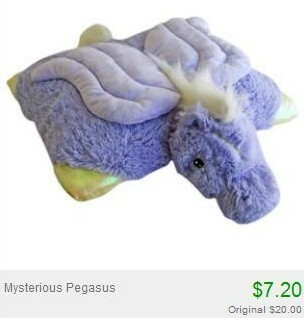 $7.20 Pillow Pets + 10% Off or Free Shipping! HURRY over to Totsy and you can score Pillow Pets for just $7.20! There's not a huge selection, but they have the ladybug, dog, koala bear and a few more to choose from. Supplies are very limited and once they're gone, they're gone! You'll find them in the Plush Toy Blowout Sale.